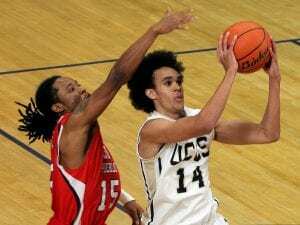 On the surface, the story of Derrick White is hardly worthy of an ESPN 30 for 30. 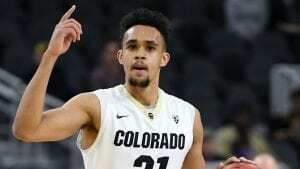 A former Colorado Buffalo hoopster gets drafted with the 29th pick in the first round by San Antonio, plays his first year in the G-League trying to improve his game, and twelve months later he’s averaging 25 minutes and 9 points a game for the Spurs and Greg Popovich. Nice, but we’ve heard that story before. But what if I told you that there’s a little more to White’s improbable journey from a kid out of Parker, Colorado, to a spot on an NBA roster? 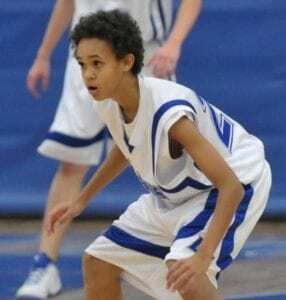 Derrick White entered Legend High School (Parker, CO) as a 5’6, thin-framed freshman, and like most young athletes his game and his physique grew over the next four years. As a senior, White was still thin, but his 6’0 frame and love for the sport turned him into a solid high school ball player, even being named a 2012 All-State Honorable Mention. But when it was time for college, and the recruiting process, the phone never rang. Well, almost never. Jeff Culver, the head coach at Johnson and Wales, an NAIA school that is best known for its culinary program, saw White and offered him an opportunity to continue playing, but offered nothing more. White would have to pay the full cost of tuition. College hoops at a Culinary school. It wasn’t the greatest of offers, but it was the only one White would receive. 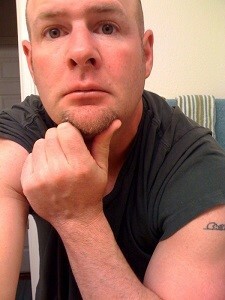 But before White would graduate, a few things would change. Culver would be offered the head coaching job at the University of Colorado in Colorado Springs, a Division II school, and White would put down his cooking knives and accept a $3000-a-year housing allowance to play Division II basketball. The other things that changed were White’s height and his game. Now 6’4, White would be named the Conference Freshman of the Year despite his team winning only five games, and by the time he was a junior, White was averaging 25 points, 7 rebounds, 5 assists, and was named a DII All-American. University of Colorado coach Tad Boyle took notice. White transferred to the Pac-12 school and after a redshirt season, was named All-Pac 12 averaging 18 points, 4 assists, and 4 rebounds in his senior campaign. At 6’4, almost 6’5, White showed tremendous height at the point guard position, solid outside shooting at the two-guard position, could defend, pass, and even block shots. In the unique NBA game that is now full of analytics, White’s efficiency rating was off the charts, and he was finally being noticed. The San Antonio Spurs drafted White late in the 2017 NBA draft, and he was quickly shipped to the G-League and their developmental squad to work on his game. 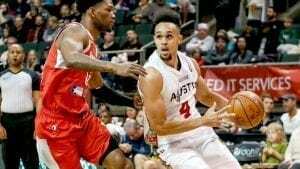 White averaged 20 points a game for the Austin Spurs his first season, and even suited up for Popovich and the varsity squad for 17 games, starting none of those, and averaging 3 points a contest. For a franchise that was known for finding late-round gems like Tony Parker (28th pick in 2001) and Manu Ginobli (57th pick in 1999), White knew he’d get an opportunity as long as he worked hard, worked within the system, and stayed efficient. This season, White has already played 42 games, starting 30 of them, and averaging 9 points, 3 rebounds, 3 assists, all while shooting 49.8 % for the 27-22 Spurs. There are no guarantees in the NBA. 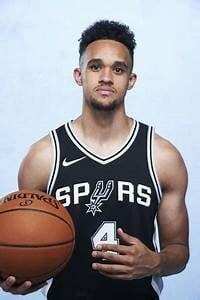 But Derrick White is expected to take the court tomorrow with teammates DeMar DeRozan, LaMarcus Aldridge, and Rudy Gay. He’s not expected to be the next Parker or Ginobli, but Popovich would love him to be the next Denny Green (4yr/$40 million) or Patty Mills (4yrs/$50 million). White’s current contract is for 3yrs/$5 million, but that should jump like his rise from DII to the NBA. If not, there’s always cooking school.